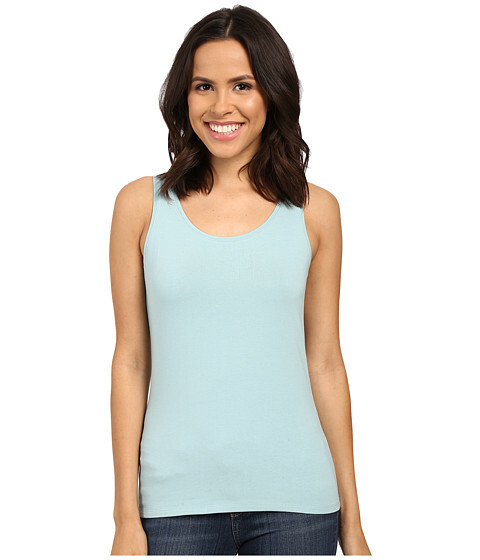 NIC+ZOE Size Guide Superb on its own or as a base layer, the NIC+ZOE™ Perfect Tank Top is a wardrobe essential.Semifitted tank features fabricated from a flattering stretch jersey. Scoop neckline.Wide shoulder straps keep undergarments at bay.Straight hem.95% cotton, 5% spandex.Machine wash cold, dry flat. Imported.Measurements:Length: 24 inProduct measurements were taken using size SM (US 4-6). Please note that measurements may vary by size.